Hot new eco-friendly yard dice game. 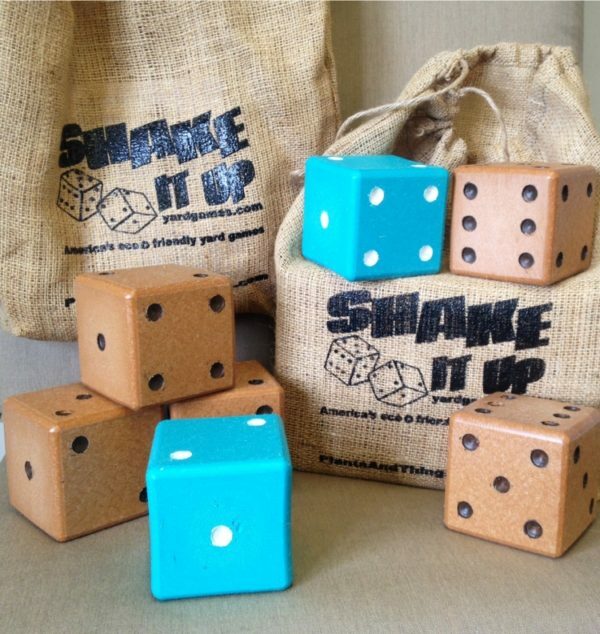 Made from 100% recycled plastic from milk jugs so the dice will last for ever. Comes with six (3- 1/2″) yard dice, carrying bag and game cards. Great for picnics, family reunions, house warming gifts, or just to play dice games outside. Made by (shakeitupyardgames.com) for Plants and Things USA . Comes in two colors Cedar brown or Aruba blue.